In their ever increasing attempt to bring their web properties up to date Google on Thursday rolled out a complete revamped YouTube homepage that features a bigger emphasis on social integration. Visitors to the site will now notice a center feed hosting content along with a list of channels on the left that are located inside a navigation type bar. Along with channels hosting the navbar also offers access to Google+ (opt-in) and Facebook tabs that allow users to browse content shared b their friends while interacting with that content. 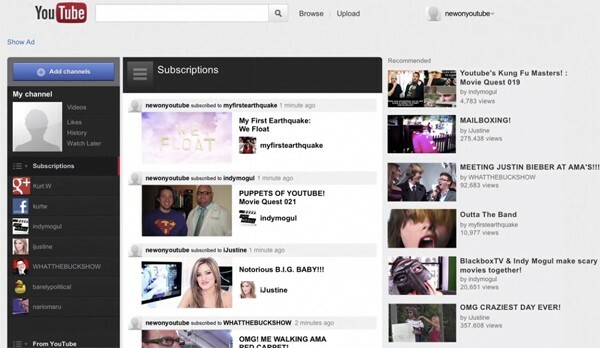 YouTube has also rolled out new customize friendly templates with sleek social integration.